How is soy lecithin produced? Lecithin is a generic term for yellow-brownish fatty substances that occur naturally in plant and animal tissues. Though it can be extracted from anywhere, lecithin is particularly easy to separate from the oil of soybeans. The soybeans are tempered by keeping them at a consistent temperature and moisture level for approximately seven to 10 days. This process hydrates the soybeans and loosens the hull. The soybeans are then cleaned and cracked into small pieces and the hulls are separated from the cracked beans. Next, the soybean pieces are heated and pressed into flakes. Soybean oil is extracted from the flakes through a distillation process and lecithin is separated from the oil by the addition of water and centrifugation or steam precipitation. That is a friendly description of how soy lecithin is produced. However, there are some less-attractive accounts out there. Though that doesn’t sound too pleasant, it may not be true of all soy lecithin. Why is soy lecithin used in foods? The prevalence of soy lecithin in processed foodstuff is due to it’s tremendous power as an emulsifying agent in chocolate, preventing the separation of cocoa and cocoa butter. In this sense, soy lecithin is very similar to xanthan gum, and just like xanthan gum, soy lecithin is used to decrease production costs. A sprinkling of soy lecithin allows manufacturers to reduce the amount of expensive cocoa butter needed in their chocolate products. That’s not to imply that the presence of soy lecithin always indicates an inferior product. 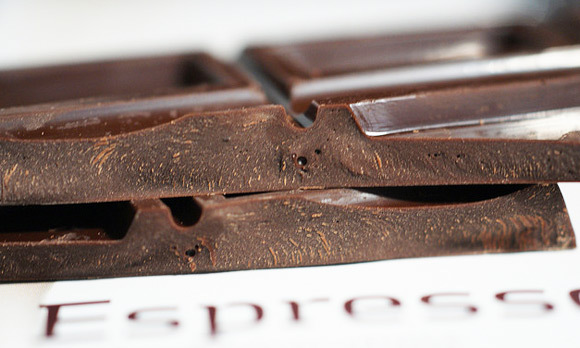 Sometimes a pure blend of cocoa and cocoa butter results in an imperfect consistency; soy lecithin can be used to achieve exactly what a chocolate maker wants her customers to enjoy. 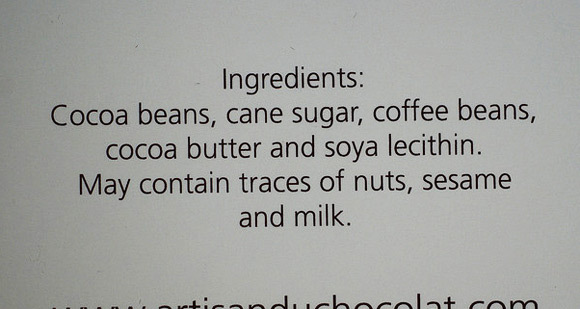 Is soy lecithin used in anything besides chocolate? Yes! Though chocolate is by far the most common place you will find soy lecithin, you will also see it on the ingredient listings of some baked goods, coffee creamer, candy coatings, and nutritional supplements. Are there any health concerns for soy lecithin? The only significant known health concern of soy lecithin has to do with the soy side of it. Soy contains phytoestrogens which can have an impact on your body. The nature of this impact is currently being debated. One of the most hotly debated areas is soy’s possible effect on cancer. Some evidence in human populations suggests that high soy intake might have a preventive effect on breast and endometrial cancers in women, and on prostate cancer in men. But animal studies have noted that high amounts of phytoestrogens, or plant-derived estrogens, may actually promote cancer. Though some people are sensitive to soybeans, most of the proteins that cause an allergic reaction are denatured or filtered in the soy lecithin production process.